Darach Watson has been awarded the Lundbeck Foundation Research Prize for Young Scientists for his outstanding and innovative research in astrophysics, where he has developed a groundbreaking method for measuring distances in the cosmos using the light from distant quasars. The result was selected by Physics World as one of the year’s most important breakthroughs in physics. Darach Watson has been awarded the Lundbeck Foundation Research Prize for Young Scientists for his outstanding and innovative research in astrophysics. 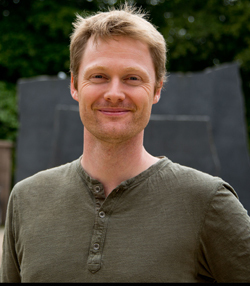 Darach Watson is from Ireland and received his PhD from University College in Dublin. He came to Denmark in 2003 and has been a core member of the Dark Cosmology Centre at the Niels Bohr Institute at the University of Copenhagen since 2005. He is a leading expert in X-ray astronomy and has played a key role in the important developments in the research of supernovae (exploding massive stars) and gamma-ray bursts (violent outbursts of gamma radiation. “His research style is original and inventive and by combining different techniques and ideas, he creates new knowledge,” explains Jens Hjorth, professor and head of the Danish National Research Foundation’s Dark Cosmology Centre at the Niels Bohr Institute. Darach Watson has broken new ground in several areas. In 2006, he developed a new method to study the properties of cosmic dust. The method is now one of the most advanced for studying the detailed properties of cosmic dust in distant galaxies. In 2011, he made his most important discovery to date. 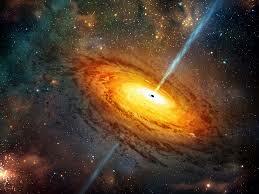 He developed a new method for measuring long distances in space using the light from quasars (active black holes). Again, it was ability to think differently, innovatively and originally that gave him the idea. Every galaxy has a supermassive black hole at its heart, millions to billions of times the mass of the Sun. When these dark hearts of galaxies actively accrete matter they become incredibly bright. These are quasars, and they outshine everything else in the universe. “During a lecture, as one of my colleagues was talking about quasars, I suddenly got the idea that if the brightness of the quasar was related to the size of the gas cloud surrounding it and if you could measure the size of this cloud, you could calculate the distance to the quasar,” explains Darach Watson. The idea proved to be brilliant. He explains that quasars have many advantages. They are common throughout the universe and they are stable sources that do not fade and disappear after a short time like supernovae. They are also extremely luminous and can be observed at much greater distances than other sources for distance measurement. Most important, he points out, is that the measurements can be very accurate. But what was it exactly that led him to astrophysics? ”I always knew I wanted to do a PhD. My father was a professor of Irish and Dean of the Faculty of Celtic Studies and my mother had a PhD in history. I was interested in many topics and when I was in my last year of secondary school, I talked with my mother about what I should choose to study at university: chemistry or history. She said I could always become a professional research scientist and an amateur historian, but it was almost impossible to be an amateur scientist. I followed her advice and chose chemistry. Halfway through my studies, I discovered what really excited me were the physical processes; what the elements could do and what the physical mechanism was. At the same time, I looked at the curriculum for physics – superfluidity, high-energy particle physics, relativity theory and gravity, superconductivity, plasmas – and I thought it sounded incredibly exciting. So I switched to physics. When I had to decide what to do my PhD on, I discovered that astrophysics was the most interesting branch of physics,” explains Darach Watson. Suddenly, he got a chance to work with gamma-ray bursts – explosions of massive stars, the most violent explosions in the universe since the Big Bang – and he jumped at the opportunity. They managed to obtain the first high-quality X-ray spectrum of a gamma-ray burst and discovered the signature og a supernovae in that spectrum. He can still remember the walk home after the discovery, “I was so elated,” he explains. It is this excitement that is still the driving force for his research in astrophysics. But history has not been forgotten. ”What I find peculiar is that my love for and interest in history has crept into my science. My research is related to the history of the universe on a large scale: how it was formed and evolved, how stars and galaxies develop over time and how we ended up where we are now,” says Darach Watson thoughtfully and welcomes the recognition his research has now received with the Lundbeck Foundation Research Prize for Young Scientists.